Some 25 years ago, the coronary care unit concentrated high technology and the acutely ill patients who might benefit from it in a single, recognizable space. Since then, that space and its technical equipment have changed, as has part of its population. Acute ischemia, silent and manifest, occurs within and outside of the coronary care unit as pain, arrhythmia, or pump failure. Its detection and treatment require the utilization of many diagnostic techniques and skills, not the least of which is two-dimensional Doppler echocardio- graphy, which is gaining importance. Future developments, in tandem with computer technology, may add to this importance by enabling tissue identification, spatial representation, and Doppler flow mapping. 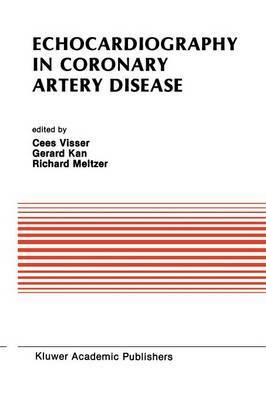 This book describes the state of the art for the practicing clinician using Doppler echocardi?graphy at the bedside of patients with acute ischemic manifestations of coronary heart disease. The first requirement is to move from the echo laboratory to the coronary care unit, emergency department, operating room, or catheterization laboratory, using equipment suited for that purpose. The second, more trying imperative is to secure good cooper- Ition between those treating the acutely ill patient and the investigator who interferes with his probes. If successful ceeding in both, rewarding results can be obtained, since echocardiography is a very sensitive and specific tool for recognizing and quantifying early ischemia.